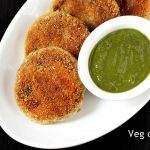 Veg cutlet recipe – Simple, easy and delicious vegetable cutlet that can be served for a Evening snack with a chutney or dip. 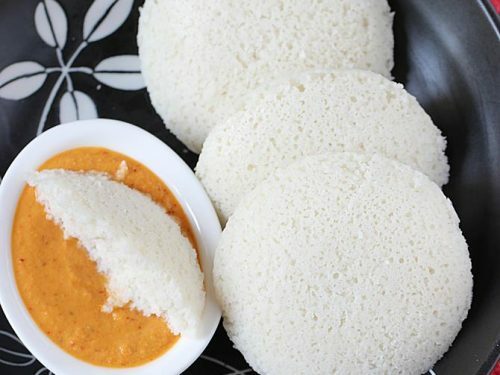 A green chutney or a Schezwan sauce goes best with these. These cutlets can be baked, deep fried or shallow fried to suit one’s diet and taste. 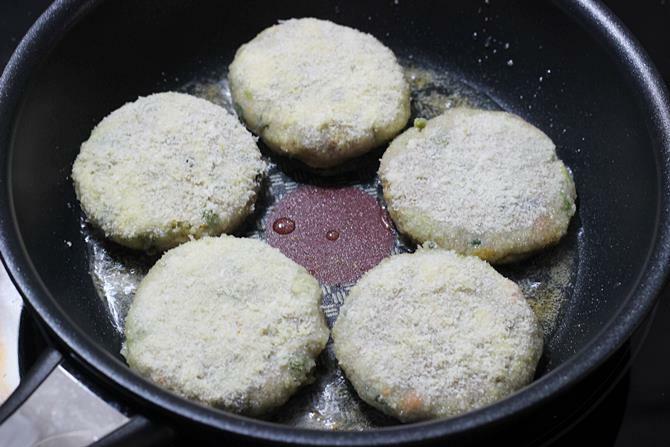 Veg cutlet are made using a combination of veggies with potato as the base for binding. Folks having diet restrictions towards consumption of potatoes can use sweet potato or yam or even raw banana (plantain). 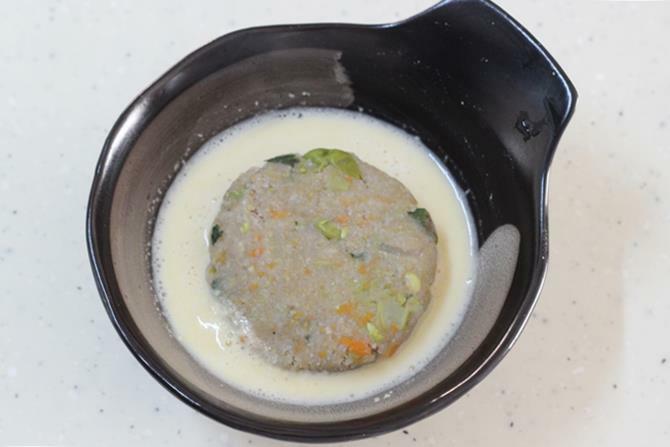 Vegetable cutlet are a popular snack on the Indian restaurant menus. These are crumb coated and pan fried yet they turn out great with a crisp texture. 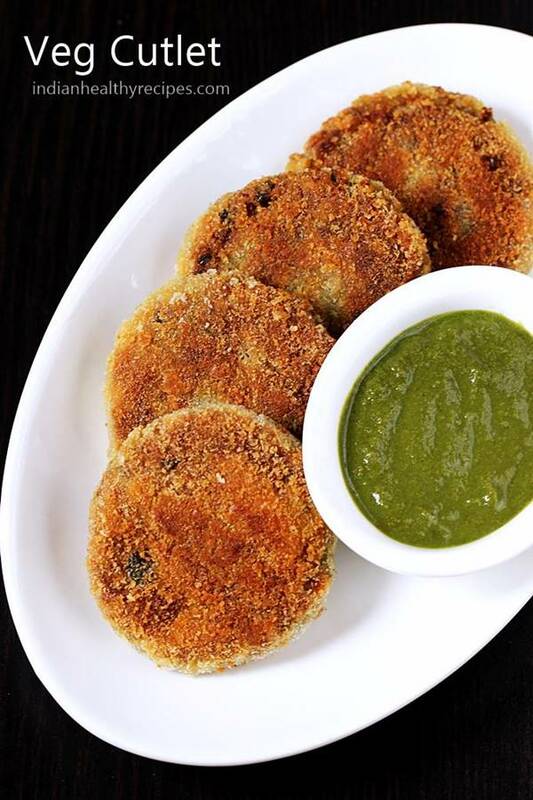 Cutlet are best served hot with some green chutney or sauce. 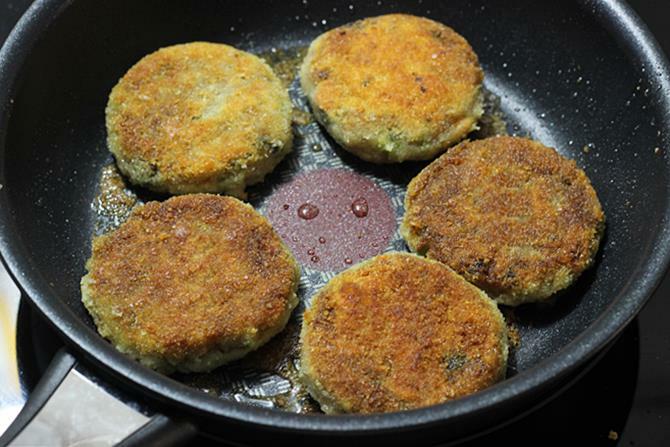 To make veg cutlet, you can use any veggies of your choice. This time I used potatoes, peas, carrots & french beans. Other veggies that go well in a cutlet are broccoli, sweet corn, sweet potatoes, yam and beetroot. To perk up the nutrition you can also add in some leafy greens like spinach. I some times add soaked and drained soya granules to lend a great texture. Cutlet can also be used as patties to make Veg burger. 1. Always steam or boil the vegetables al dente and not mushy. This prevents the cutlets from turning too soft from inside. 2. 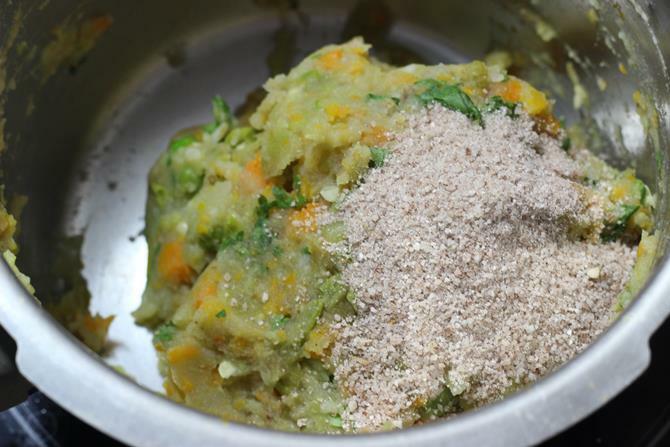 Mash the veggies and then add bread crumbs or poha powder or besan to reduce the moisture in the veggie mash. My preferred choice is powdered poha as it is a healthy choice than the bread crumbs. 4. Shallow fry them until crisp on a low to medium flame. You can also bake them. 5. You can flavor the veg cutlet mixture with any spice powders you like. I have used garam masala. 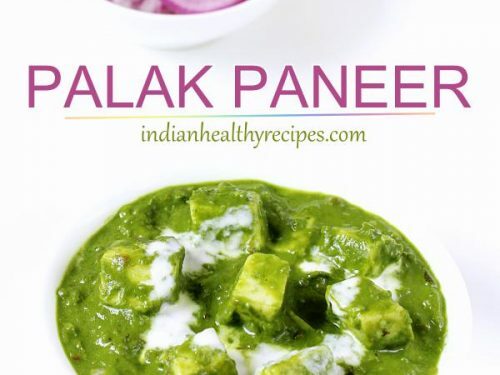 You can also add half cup crumbled paneer to the mashed veggies to make paneer veg cutlets. Half cup grated mozarella or cheddar cheese can also be added to make cheese cutlets. If using cheese, double coat the cutlets so that cheese doesn’t come out of the cutlets and mess up. 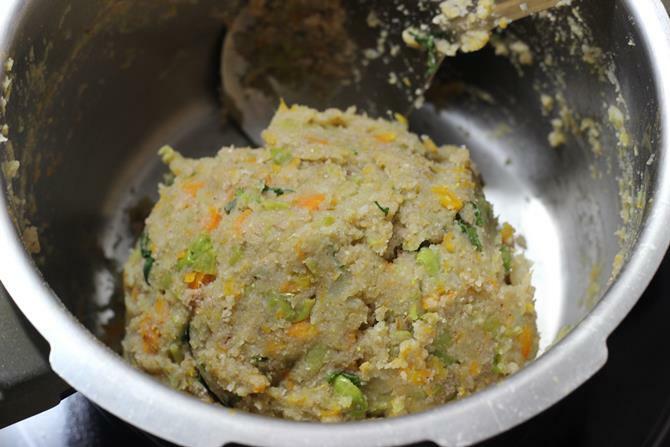 Cutlet recipe – Veg cutlet is a quick tea time Indian snack recipe made with mix vegetables like potatoes, peas, beans and carrots. 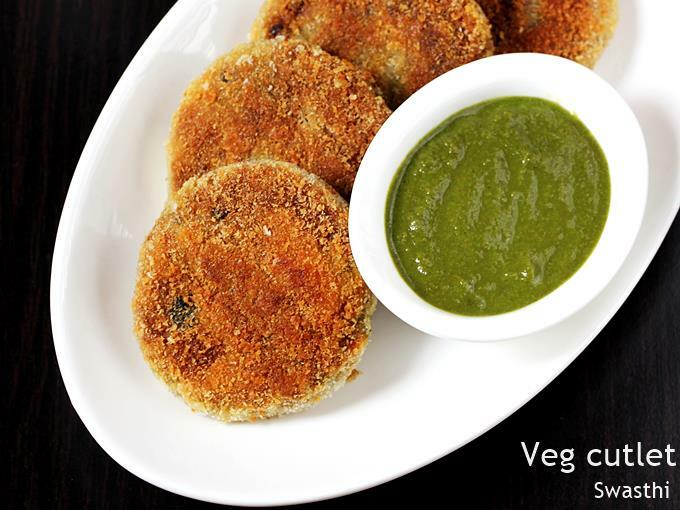 Serve vegetable cutlet as a tea time snack or appetizer with some green chutney or any dip. Steam or boil veggies until just done. I pressure cooked all the veggies together for 2 whistles on a medium heat with half cup water. Drain any excess moisture if left and use up in other ways. 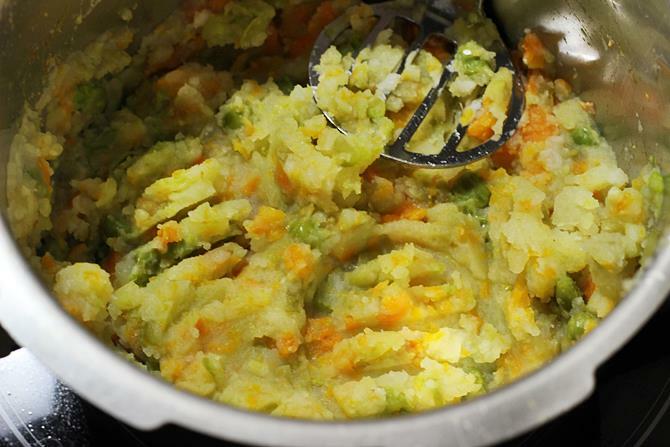 Mash the veggies well. 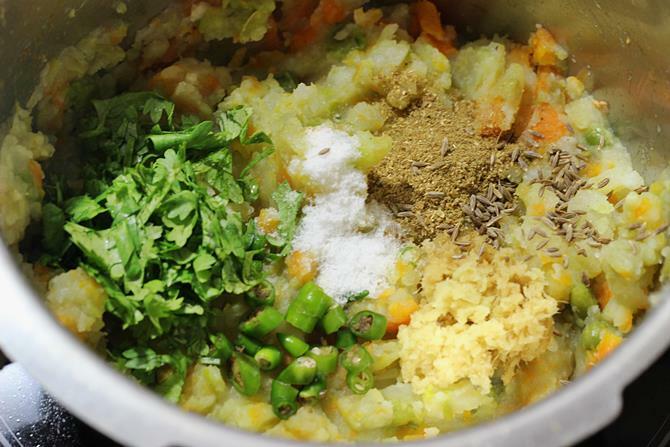 Add bread crumbs or powdered poha, salt, ginger, garam masala and chilies as well to the veggies. Mix everything well. It must be a non sticky dough. If needed, add more bread crumbs or poha to make it non sticky. Divide the dough to 13 to 14 parts, Make thick patties and set aside. Add besan or rice flour to a small mixing bowl. Pour water just enough to make a slightly thin batter. Next dip each patty in the batter on both the sides. Place them on the bread crumbs. Place them aside for 5 to 10 minutes. 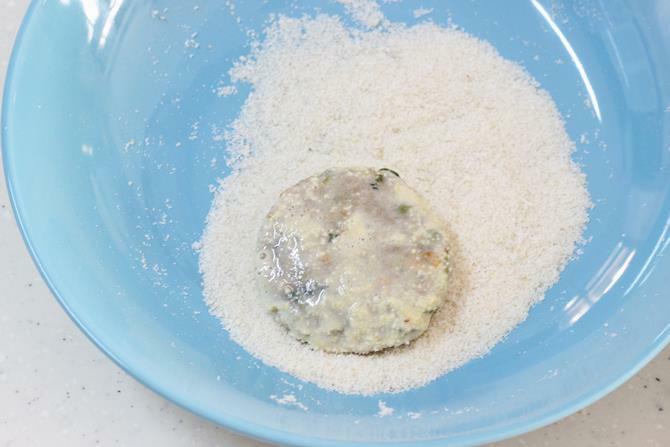 To bake the veg cutlet – Preheat the oven to 180 C for 15 mins and place the patties on a greased tray. Bake for about 15 mins on each side or until golden and crisp. Serve veg cutlet with chutney or sauce. To make green chutney, we need 1 cup coriander leaves, ½ cup mint leaves / pudina, 1 tbsp fried gram / dalia,½ to ¾ tsp cumin,Salt as needed, 2 to 4 hot green chilies, ¼ inch ginger, 2 to 3 medium sized garlic cloves, Lemon juice as needed. Blend all the ingredients together with 2 tbsps water. Lastly add lemon juice and mix. Serve veg cutlet with green chutney. 1. 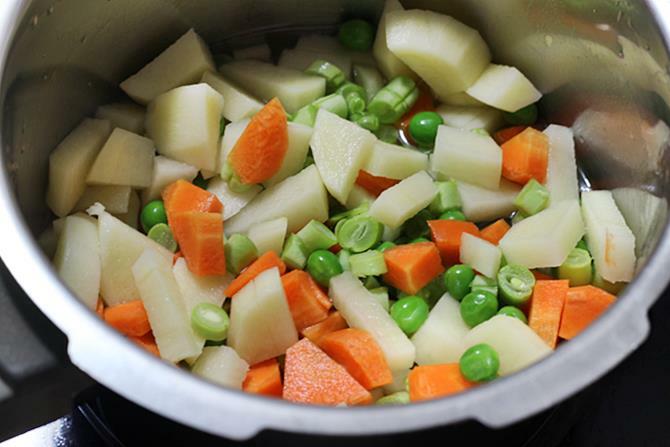 Firstly chop beans, carrots and potatoes to small cubes. You can also use cauliflower, beets and cabbage. I used green peas as well. 2. Steam them together until just done in a cooker or steamer. They must be soft cooked and firm but must not be mushy or soggy. If cooked in a pot, drain them up in a colander completely if any moisture is left. 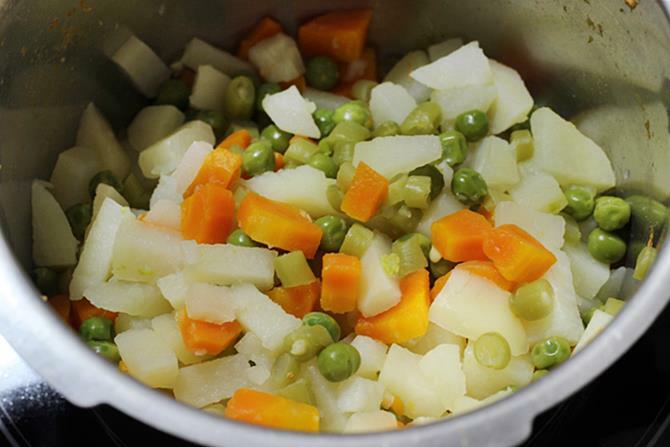 If the veggies have lot of moisture in them they soak up lot of oil and do not bind well. 3. Next mash them well. 4. Add coriander leaves, green chilies, garam masala, cumin and ginger paste. Mix everything well. 5. Add bread crumbs. I prefer to use powdered poha. I used thick variety red poha. Even white poha can be used. It absorbs moisture from the veggies better than bread crumbs and is a healthier option. 6. Mix everything well. The mixture should be non sticky and must not be soggy. Take small portion of this and make patties. 7. Next make a thin batter using 2 tbsp of besan or rice flour. Patty need not be coated with much batter. If it becomes moist it is just enough. 8. Place it on the bread crumbs. Make sure the patty is coated with bread crumbs on both the sides. You can also use coarsely ground thick variety poha or crushed cornflakes for this. 9. Repeat doing this for all the patties and place them on a plate. Leave this aside for about 5 to 10 minutes. This helps the bread crumbs to stick well to the patties. 10. Heat oil in a small pan. Shallow fry or bake them. I used 3 tsps oil for every batch of 5 patties. You can reduce this quantity to 2 tsps. 11. Lastly flip the cutlets to the other side and fry until golden. Serve veg cutlet with green chutney or any dip. 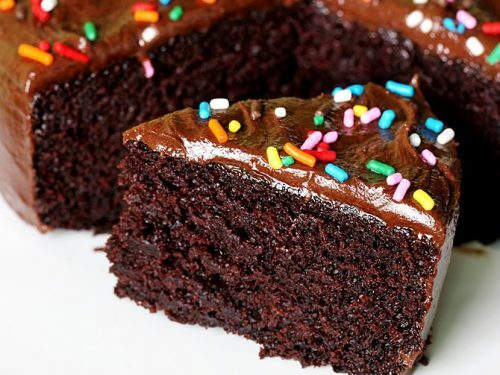 Your recipes are tooo good and easy to try. I have a query, is there any alternative for bread crumbs..?? Thank you. 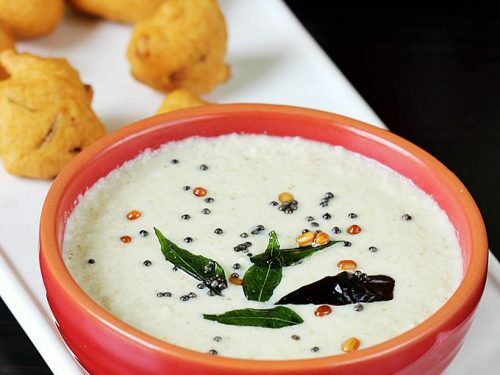 I have mentioned in the recipe card – you can use powdered poha or roasted besan. Just add half cup poha to a mixer jar and powder it. Thanks for rating the recipe. Can we deep fry the cutlets. I have to prepare a lot of them and tava fry consumes a lot of time. That’s why wanted to know. Glad to know you liked them. Thanks for trying. You have mentioned we can use soya granules can you explain where or in place of what we can use it ? You can just boil them and rinse them well in cold water. Squeeze off the excess water and use them along with boiled veggies. I also saute them in chilli powder and garam masala otherwise they taste bland. Then add to the veggies. 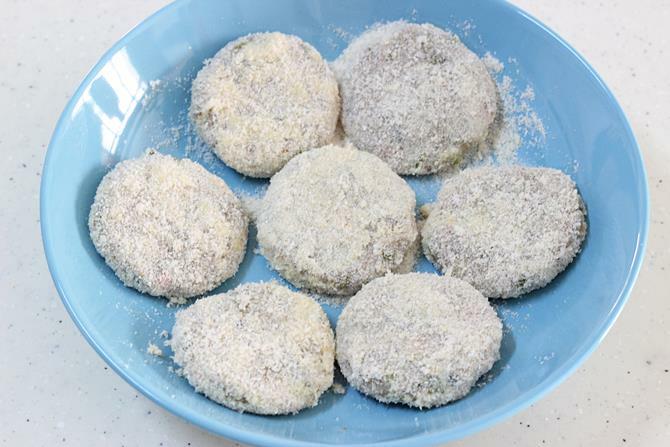 You can also check this soya granules cutlet recipe. 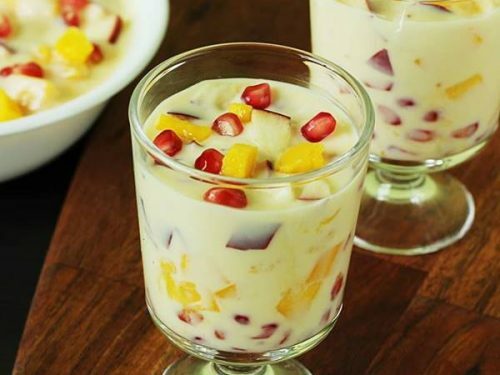 hello.your all the recipes are sooo much easy as well as healthy.explaination of recipe in great way by pics and method used is so appreciable. awesom way to cook for family very healthy and testfull food. Thanks a lot for trying the recipes. 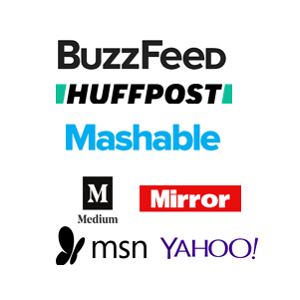 Happy to know they are useful. Thank you for such a simple recipe. Adding poha powder was such a great idea and it made cutlets crunchier. My family ate them happily. Nice collection of recipes ! Will definitely be on my to do list! 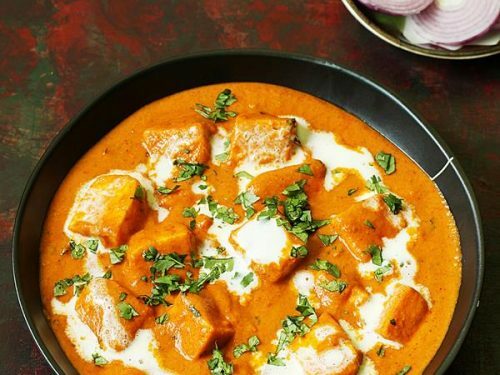 I have had it at an Indian restaurant, and yours looks so good! Pinning to try later!